Get your game face on because it’s time to score a touchdown with this weekend coupon for 20% off any takeout purchase! Trust us; your crowd will go wild for a “Souper” bowl of our homemade Chicken Noodle Soup or chili for just $6.99 a quart! Coupon valid Friday, February 5-Sunday, February 7, 2016. Love to share smiles across the miles AND have an obsession with everyone’s favorite Smiley Cookie? Then we’ve got a sweet opportunity for you! 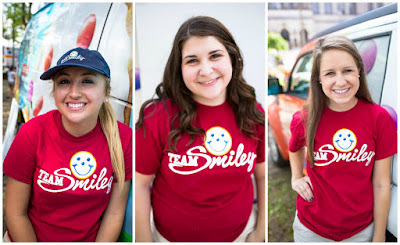 We’re hiring a team of Eat’n Park brand fans to join our 2016 Team Smiley summer internship program! Every year, Team Smiley spreads goodwill, good times, and great tasting Smiley Cookies all over the tri-state area. In addition to growing relationships in the community, the team works alongside Eat’n Park’s marketing department, gaining practical insight and contributing to company initiatives. It will be a smiley summer that you won’t soon forget! A few of our Team Smiley alumni (from left to right): Veronica S. (Robert Morris University), Natalie K. (Denison University), and Emily E. (Wake Forest University). Our new bite-sized crunchy fried shrimp are the perfect way to start your meal. 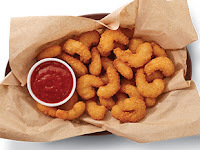 They’re served with your choice of cocktail or our new Boom Boom sauce. Don’t forget to share them with your friends! We’ve added some spice to our salad lineup! 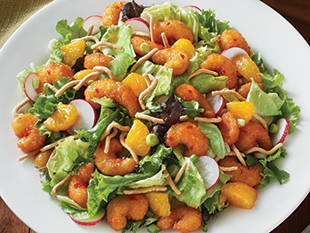 Enjoy mixed greens, Mandarin oranges, radishes, green onions, and chow mein noodles topped with crispy shrimp that have been tossed in our spicy Boom Boom sauce. It’s served with a Mandarin orange sesame ginger dressing and bakery-fresh seasonal bread. Our Whale of a Cod is one of the reasons we are so excited that seafood season is finally here! This HUGE cod filet is hand-breaded with panko breadcrumbs and fried to a golden brown perfection. It has become such a favorite that we are featuring it in several dishes because we just can’t get enough of this delicious delight! 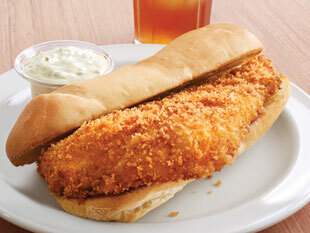 A legend in the Eat’n Park history books, this “Codfather” sandwich can make your hunger disappear, no questions asked. 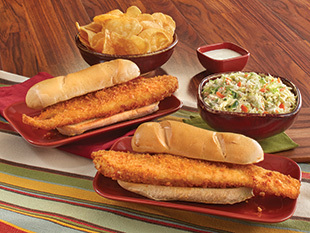 We take our HUGE Whale of a Cod filet and serve it on our fresh-baked hoagie roll. Plus, it comes with a side of your choice. With our Whale & Mac Lunch, you don’t need to make the hard decision between two lunchtime favorites! 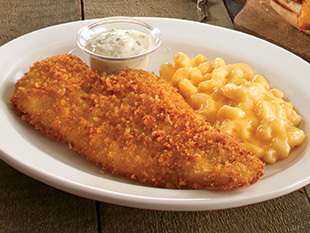 A Whale of a Cod filet AND cheesy macaroni on the same plate? It just doesn’t get any better than that! For the Whale fanatic that just can’t get enough, we suggest our Whale of a Cod Dinner. 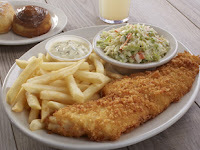 Our famously HUGE Whale of a Cod filet is served with your choice of two sides and our bakery-fresh rolls. It’s also being featured as one of our new Salad Bar Dinner Deals! "Whale" sea you at Eat'n Park! 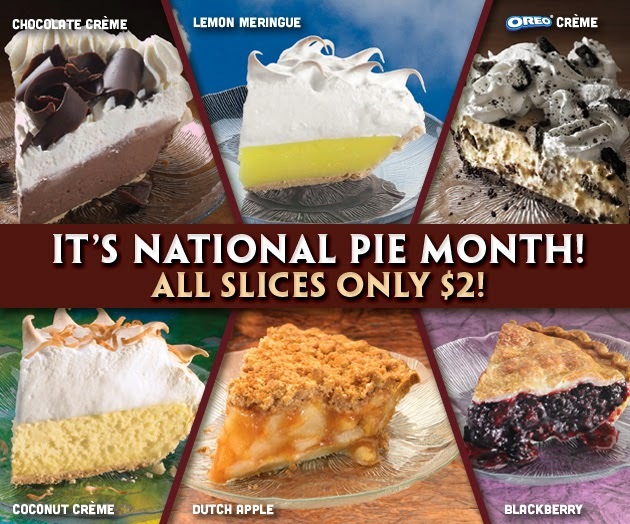 So stop by to join the festivities and choose from slices like Dutch Apple, Oreo Crème, Lemon Meringue, and many more. What can we say? We think pie is perfectly acceptable for breakfast, lunch, and dinner!